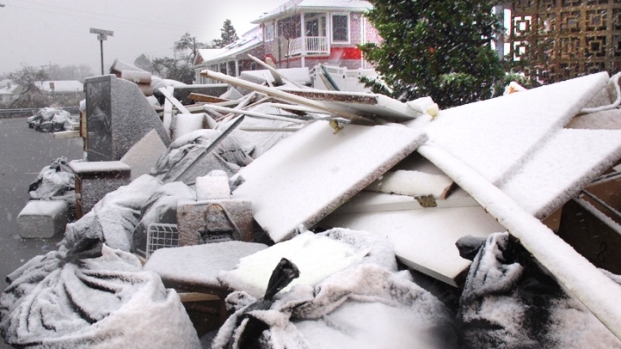 Powerful Hurricane Sandy has caused the National Weather Service to issue a lakeshore flood warning in Chicago. 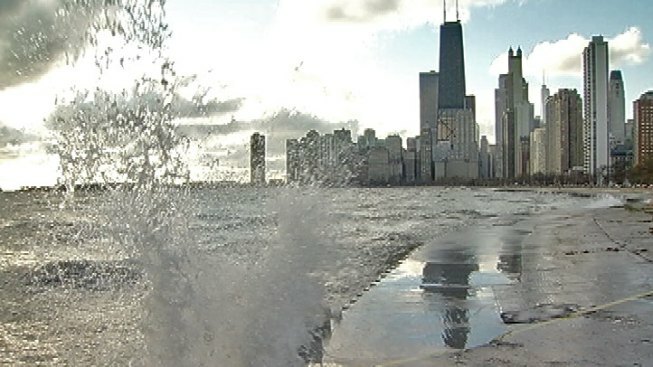 During the warning, which goes into effect at 1 a.m. on Tuesday until 4 p.m. Wednesday, waves of 16 to 22 feet are likely to build along the Cook County Shoreline, reported the National Weather Service. As Hurricane Sandy moves north to our latitude and slows, it will halt the west-to-east progress of high and low pressures across the Midwest and western Great Lakes, according to the weather service. This “blocking” will maintain the high pressure and dry air mass over much of the Mississippi River Valley, so no precipitation is expected for local areas away from the influence of the Great Lakes through the middle of next week. The primary impact of Hurricane Sandy on the Chicago area will be powerful northerly winds over and near Lake Michigan -- of 50 to 60 mph -- that will increase on Monday night through the middle of the week, the weather service said. The weather service said that the Chicago Lake Shore bike path and portions of South Lake Shore Drive were considered to be among the more vulnerable spots and could be significantly impacted by large waves.